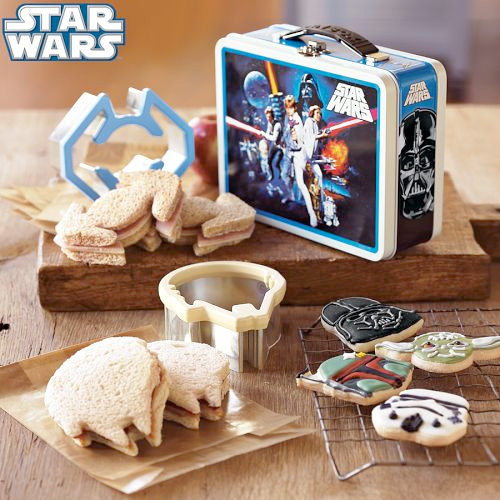 Star Wars Sandwich Cutters | OhGizmo! R2-D2 iPhone Hard Case With Sculpted Details – Who Says You Need An Actual Droid? Sometimes Star Wars merchandising just seems completely tacky. Other times? Completely awesome. And I think it’s safe to say this falls into that latter category. I mean nothing goes better with peanut butter and jelly than the Millennium Falcon, and I can’t imagine anything on Earth tasting better than a ham and cheese shaped like a TIE figher. And the vintage Star Wars tin these sandwich cutters come in? Well that’s just the icing on the cake. Get the whole set from Williams-Sonoma for $29.95. ← Announcing The Winner Of The IDAPT i3 Universal Desktop Charger!